SGT Flagpoles is dedicated solely to commercial flagpoles and residential flagpoles. SGT Flagpole is recognized in the flag industry as an engineering, design and manufacturer of quality aluminum, nautical, outrigger, sectional, telescoping, wall & roof mount flagpoles. We service the Washington State area, Ground mount poles come in three types, Cone, Step and Economy tapered. Can’t find what you are looking for, chances are we can accommodate your needs, just call or email us!! 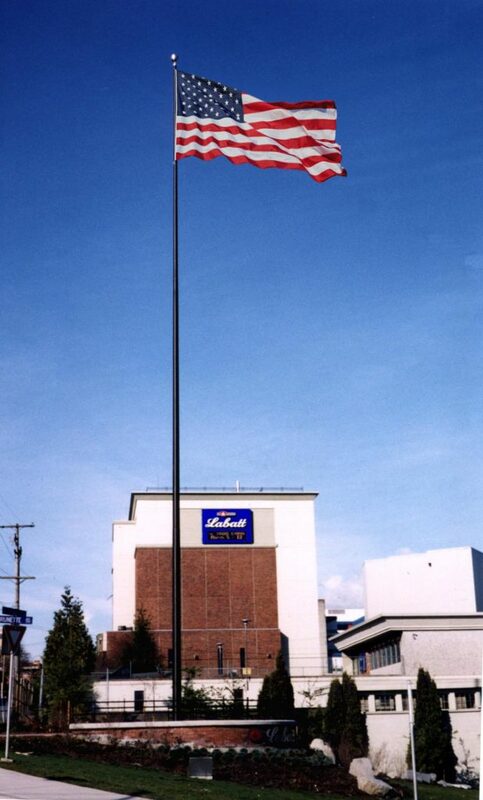 Require a large flagpole for your event or movie? No problem, we have a rental solution for you, contact us and we will assist you in acquiring your flagpole.SGT Flagpole has been in the flagpole industry since 1982. At SGT, we wholesale & supply other flag companies, the construction industry, government (all levels) including schools, sign shop and property developers.We have a licensed professional engineer available to design your flagpole. When required we can supply you with an engineer’s letter at no charge.